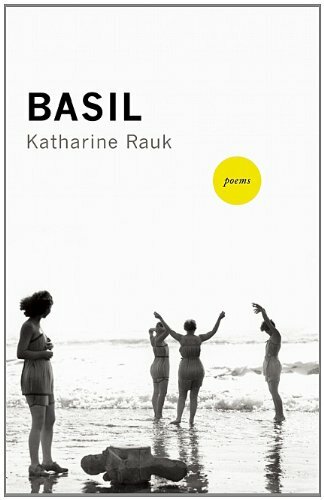 There is a clever sort of alchemy at work in the poems in Basil, Katharine Rauk’s poetry chapbook. 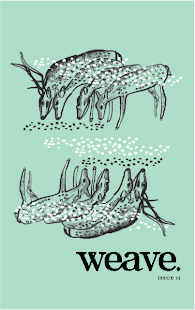 These thirty-one oddly compelling and challenging poems emerge as collective parables that, taken together, form a surreal, spiritual, and sensual guide to this and the next life. Rauk uses the same split in “Heartbone (I),” this time in the form of a wistful reverie, a poetic escape amidst a meal with repellent company. She has the ability to create micro-dramas with minimal context but tremendous tension, maintaining a visceral connection to the human dynamic in its many guises. Ultimately, there is a great deal of longing in the poems in Basil, desire entwining with ambiguity, seeking reason or redemption. In “Vignette,” enchantment and superstition take hold in a ritual for a woman wishing for motherhood. Rauk writes, “…so she tied a cucumber to her waist. // Cucumber vines crept beyond / the edges of the garden plot / like sticky fingers swiping from the sweet jar.” In “Heartbone II,” the poet/narrator seeks discovery in the intricate parts of herself—“My nub, my sweetness, my buried / bruise. My blue note and knotted / fruit stone, my blood knocking at the edge / of known…” By presenting an inventory of tactile and temporal elements (“root bits and flesh / snips, snarls of hair that won’t let loose. Made of loss, made of juice…”), she wonders if her own personhood will fully emerge among the sum of her parts. This speaks to the poet’s earnest process in each work in Basil, a hunt for the self within the confounding yet comforting sensory-tangled world.